Here's the scenario. There's an open XLR input on your mixer/interface/whatever. Buuuut, you've got a piece of gear without the balanced XLR output to make the connection. You need a direct box. In fact, you need the super-affordable AVDirect from ART. This thing does the job, period. With its stereo RCA, ⅛" TRS and ¼" TRS line-level inputs, you'll have the connections you need to connect practically anything you own. Laptop? iPod? DVD player? 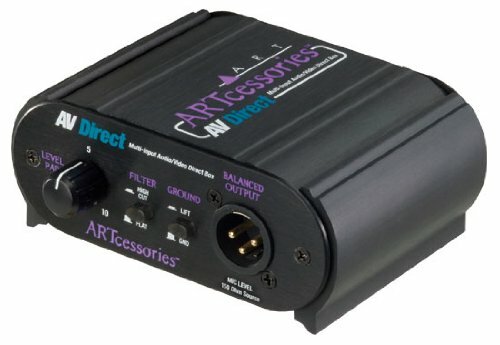 The ART AVDirect can handle practically any input connection and output level — even amplified speaker outputs. Who knows what piece of gear you'll want to patch in? But with the ART AVDirect in the bag you'll be good to go. Get yours!